Go to… Go to… Home Featured Listings - Open Houses Search for Homes - Advanced Search - Map Search - Foreclosures - Commercial Search - Big Sky Homes - Bozeman Homes - Madison Valley Homes - Livingston Homes Buyer/Seller Info - Mortgage Rates - Schools - Relocation - Weather About Me - My Blog - Testimonials Contact Me - Dream Home Finder - FREE Market Analysis - Real Estate News!!! Gambrel style home with living quarters on upper level. Lower level has some finished space and garage as well as mechanical. Open kitchen adjacent to dining area and living room. Wrap around deck provides extra space for entertaining. Great views of the surrounding mountains. Adjacent to MLS 210238. © 2019 Gallatin Association of Realtors . All rights reserved. Information deemed to be reliable but not guaranteed. 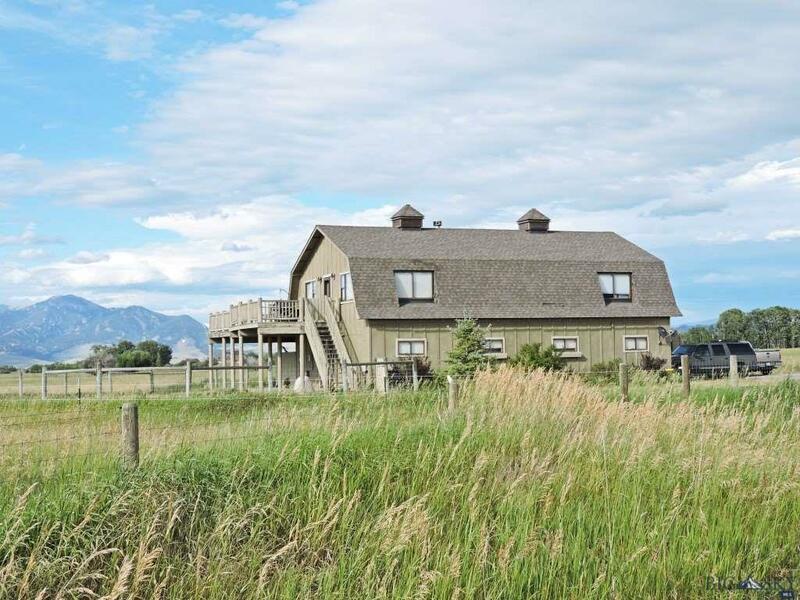 The data relating to real estate for sale on this website comes from Southwest Montana Multiple Listing Service and the Broker Reciprocity Program.sm. Real estate listings held by brokerage firms other than Berkshire Hathaway HomeServices Montana Properties are marked with the BR logo and detailed information about them includes the name of the listing brokers. Listing broker has attempted to offer accurate data, but buyers are advised to confirm all items. Information last updated on 2019-04-22.